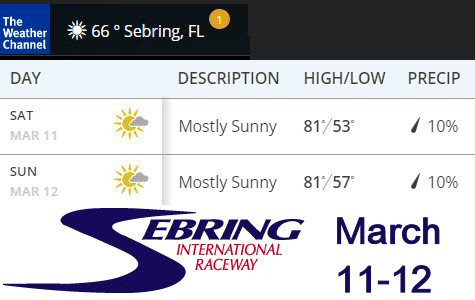 Fantastic weather forecast for DMTD Sebring March 11-12, Saturday/Sunday before the IMSA 12 hour. I hope you can join us! To register go to www.davidmurry.com.